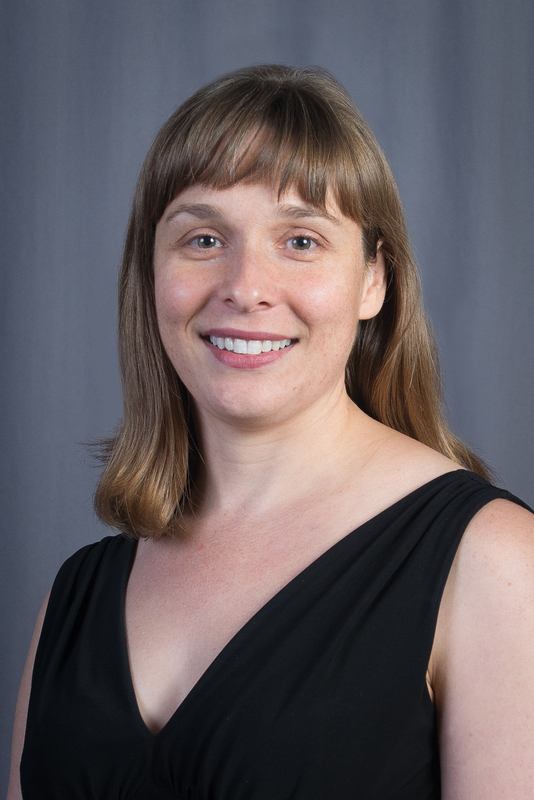 Maura Borrego is Director of the Center for Engineering Education and Professor of Mechanical Engineering and STEM Education at the University of Texas at Austin. Dr. Borrego is a Deputy Editor for Journal of Engineering Education. She previously served as a Program Director at the National Science Foundation, on the board of the American Society for Engineering Education, and as an associate dean and director of interdisciplinary graduate programs. 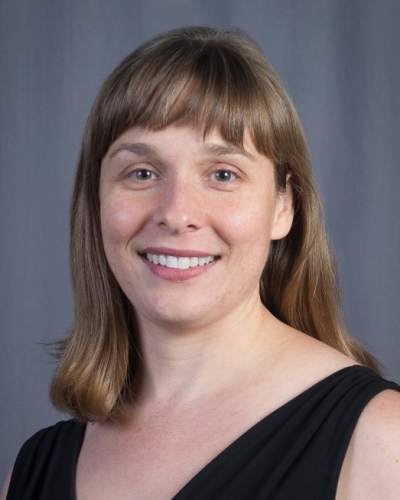 Her research awards include U.S. Presidential Early Career Award for Scientists and Engineers (PECASE), a National Science Foundation CAREER award, and two outstanding publication awards from the American Educational Research Association for her journal articles. All of Dr. Borrego's degrees are in Materials Science and Engineering. Her M.S. and Ph.D. are from Stanford University, and her B.S. is from University of Wisconsin-Madison. This project supports persistence in engineering by understanding how identity develops in high school, undergraduate, and graduate students, and how it may develop differently for underrepresented students. Identity refers to how people see themselves, or the "kind of person" that they identify with. Logically speaking, if individuals strongly identify themselves with a particular field, they are more likely to pursue and remain in that field. Yet there is limited research testing this idea, particularly in engineering. This project is surveying thousands of students in engineering programs at a variety of different high schools and colleges to build an evidence base. The results are being used to understand how engineering identity and early engineering experiences predict persistence to graduation and persistence in the profession.The results are being disseminated widely to teachers, professors, administrators and others so that they can use the results to improve programs for engineering student recruitment and retention. The investigators (from UT Austin and UT El Paso) are employing survey scale development and multivariate regression modeling to examine the predictors of engineering identity and its impact on persistence at different educational stages. This project is building on work on math and science identity, as well as research on the importance of professional experiences, to examine these issues. The study is unique in its examination of engineering identity across a range of educational stages, including high school, undergraduate, graduate, and recent bachelor's-level engineering graduates. Through ongoing longitudinal work and a cross-sectional design using multivariate regression, this study is describing engineering identity trajectories from high school through graduate study or professional employment. Study sites include 100 high schools enrolling approximately 5000 students per year in engineering courses and engineering departments of mechanical, civil and biomedical engineering at five institutions enrolling a total of 5000 undergraduate and 2000 graduate engineering students. The results are providing an understanding of how engineering identity develops and how that identity impacts persistence. This project is a comprehensive synthesis of existing primary studies of transfer of Hispanic students from 2-year to 4-year institutions. Although substantial research has identified cultural and socioeconomic challenges facing Hispanic students in higher education, much less is known about Hispanic STEM students, and virtually no large scale studies have studied Hispanic STEM transfer students specifically. The study will identify patterns of successes and failures of Hispanic STEM transfer students and identify factors related to effectiveness of interventions to promote transfer, retention, and graduation of Hispanic STEM undergraduates. This synthesis will contribute to achieving PCAST recommendations for a million more STEM graduates by 2018, supporting efforts within federal agencies to improve the success of under-represented students in STEM, and increasing knowledge about what works based on a comprehensive synthesis of published research. The research question guiding this systematic review is: What student and contextual characteristics and interventions have prior studies identified as supporting successful transfer and STEM bachelor's degree completion of Hispanic students who matriculate at two-year institutions? Researchers at the University of Texas at Austin and Virginia Tech are conducting mixed methods research to better understand how various mechanisms of funding - fellowships, research assistantships, teaching assistantships, etc. - influence students' pursuit of doctorates in STEM and subsequent employment. The project is producing empirical evidence and a conceptual framework to inform the improvement of graduate student funding policies and interventions by addressing the differences in the types of funding that are offered to diverse student populations. The researchers will investigate the qualitative questions using national data from the Survey of Earned Doctorates (SED) and then use that data to inform questions for further investigation within the study sites for data collection via interviews with graduate students, administrators and faculty members across eight STEM disciplines. The researchers are investigating the following research questions:(1) How do graduate students' funding mechanisms vary across their incoming characteristics (i.e. demographics and bachelor's or master's institutional type, location, or affiliation) and STEM discipline? (2) What is the relationship between graduate students' funding mechanisms and their post-doctoral outcomes? (3) How does the relationship between graduate students' funding mechanisms and their post-doctoral outcomes vary across their incoming characteristic and STEM discipline? (4) What do STEM graduate students, faculty members, and administrators perceive to be the benefits and drawbacks of various graduate student funding mechanisms? How does each group make decisions about offering or accepting offers of different funding mechanisms? (5) How does funding mechanism impact STEM graduate students? experiences, socialization, identity formation, and other factors previously shown to contribute to overall success? The analysis will provide insight about the difference socialization opportunities may have for certain groups of students but not others. In addition, the research results will inform interventions for broadening participation in STEM. This research project focuses on understanding student resistance as a barrier to STEM faculty adoption of evidence-based teaching methods in the context of introductory engineering courses. The project is investigating three related research questions, including: 1) What factors (including faculty strategies, student experience, institution and course type, and student and faculty characteristics) influence student resistance to nontraditional teaching methods? 2) To what extent does expectancy violation theory explain student resistance to nontraditional teaching methods? and 3) What specific, evidence-based strategies (and in what contexts) can faculty employ to significantly reduce student resistance? To address these questions, the project team is employing rigorous instrument development procedures to design surveys to measure student resistance and expectancy violation, and conducting in-depth studies at a range of institutions, combining qualitative methods with quantitative surveys to identify additional factors related to student resistance. The final phase of the project includes a full-scale study of 20 introductory engineering courses. Expected products include evidence-based strategies faculty can use to reduce student resistance, student surveys that faculty can use to monitor their own progress in reducing student resistance, and a classroom observation protocol focusing on student resistance. His research focuses on the development of engineering identity in graduate school and underrepresented group.